ALAN HACKER OBE studied with Brymer, Kell, Cahuzac and Boskovsky. At nineteen, he joined the London Philharmonic Orchestra and was appointed professor at the Royal Academy of Music. He gained an international reputation as a champion of new music and as a pioneer of old music on original instruments. In the 1960s, he was the founder, with Harrison Birtwistle, of the Pierrot Players, and in the 1970s, of Matrix, The Fires of London and The Music Party, the first group to use old instruments. 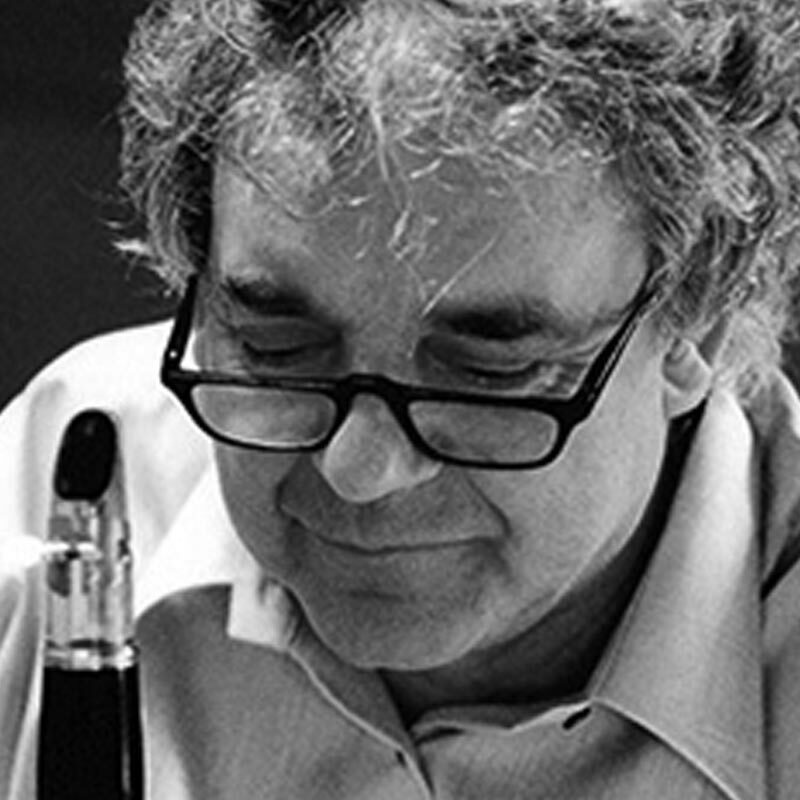 He revived the forgotten basset clarinet in the mid-1960s to restore the Mozart Concerto and Quintet to near their original form. Birtwistle, Maxwell Davies and Sweeney have also written for the basset clarinet, as well as Gerry Fielding, Lalo Shifrin, Henry Mancini, Bernard Hermann and Carl Davis and many others and in the film world. During eight years as senior lecturer at the University of York, he was a founder of the Early Music Festival and the Classical Orchestra. Under his direction they gave the first performances in modern times on original instruments of Haydn, Mozart, Beethoven and Mendelssohn.